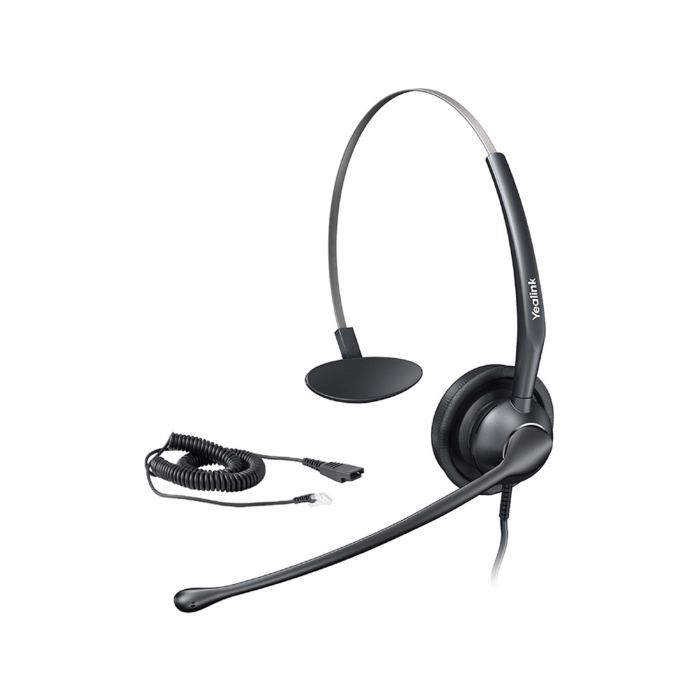 This over-the-head style headset is ideal for office workers and call centre agents. It is compatible with the full range of Yealink enterprise IP phones. Its distinctive design is slim and stylish with an elegant satin finish. Its featherweight materials and ear pads are made from bio-mimetic protein-based leather which ensures luxurious comfort. Its unique pivoting boom delivers crystal-clear, private conversations while reducing listening fatigue. What’s more, the ultra-noise-cancelling microphone filters out background noise for perfect speech transmission. And its quick disconnect feature provides walkaway convenience, enabling users to quickly leave or switch to other devices. Please note that this headset is not a Bluetooth headset. If you would like to order a Bluetooth headset for your Yealink handsets please contact us. • Professional call centre headset.